On Friday Michael Curran received an Outstanding Achievement award from the Taiwan Digital Talking Books Association, in recognition of his work regarding Chinese character input support in the NVDA screen reader. To input languages such as Chinese in Windows, the user types certain key sequences, but then must usually choose the correct Chinese character from a list of possible choices. In order to make NVDA suitable for East-Asian language users, it has to be able to report these choices and also allow the user to review the typed phrase so far before it is finally entered in to the document or control they are working with. 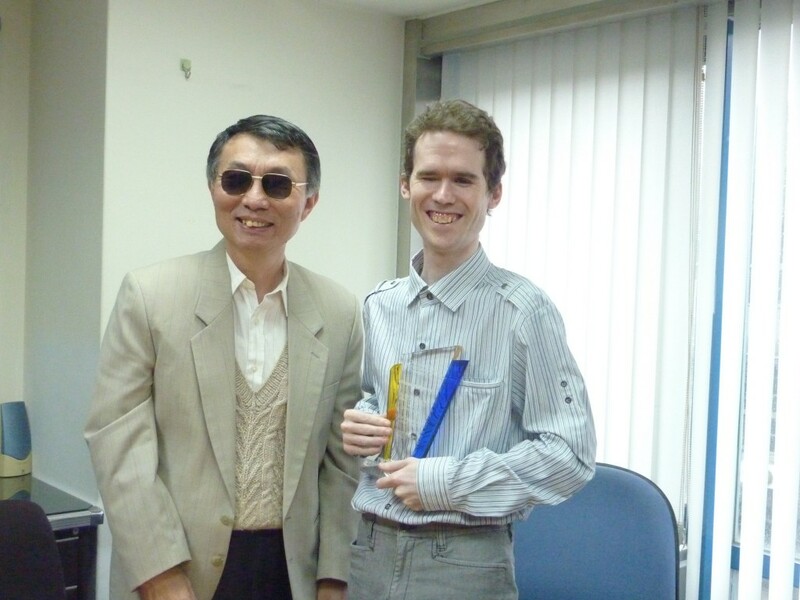 Thanks to financial support from both the Taiwan Digital Talking Books Association and the Hong Kong Blind Union, work has been undertaken to add the needed functionality to the NVDA product, allowing blind and vision impaired people to write in Chinese, without the need for purchasing other expensive assistive technologies. NV Access would like to thank the TDTB for the award and we look forward to future collaboration between the two organisations. To find out more about the Taiwan Digital Talking Books Association please visit the TDTB website or search for Daisy TDTB on Facebook.